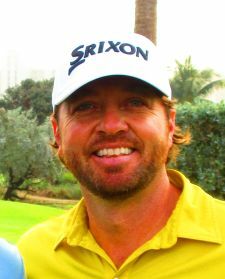 PALM BEACH GARDENS, Fla. – Steve LeBrun of West Palm Beach, FL, continued his strong play on the Minor League Golf Tour on Thursday, winning for the eighth time in the last four weeks. A graduate of John I. Leonard High and Florida Atlantic University, LeBrun shot 68-64—132 to win by six strokes on the Palmer course at PGA National. LeBrun posted two unusually balanced rounds with two birdies on each nine Wednesday and four on each side the second round for his career record 70th win since joining the MLGT in August, 2007. He collected $1,400 from the $4,940 purse plus $300 in an optional bonus pool and $62.86 in the skins game for a total of $1,762.86. This raised his career earnings to $190,340. Marc Mazza from Palm Beach Gardens, FL, finished 2nd alone with back to back rounds of 69 for a 36 hole total of 6-under par 138. He earned $1,000 for his 2nd place finish. PGA Tour winner Marc Turnesa of Rockville Centre, NY, won the second day shootout among players who had 73 or higher Wednesday. He closed with 67, worth a $150 bonus, and was sixth overall among 20 starters with 143 for $315 from the main purse. 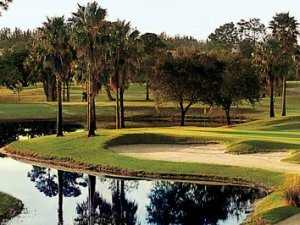 The MLGT plays three one-day tournaments next week: Monday, Florida Club, Stuart; Tuesday, Jupiter CC, and Wednesday, CC of Coral Springs. Steve LeBrun's dad came out to watch his son for the final round. PALM BEACH GARDENS, Fla. - Alex Forristal from Overland Park, KS made 3 birdies on each nine en route to a 5-under par 67 and a one shot lead over the field heading into the final round Thursday. The Palmer course at PGA National played a shade over par with a scoring average of 72.30 for the field. Three players are tied for 2nd at 68 including red hot Steve LeBrun. LeBrun has won 7 of the last 8 events on the MLGT he has played. The other two players at 68 are Ian Facey and Matthew Stephens. Five of the 20 players chose to enter the optional $100 bonus pool. First place with be $300, second $200. There is an optional 2nd day shootout for players that shot 73 or higher on Day 1. The entry is $50 and 100% of the entries go into the purse. The top 33% and ties earn a check. You must register and pay online for the 2nd day shootout before the first tee time on Day 2. No exceptions.